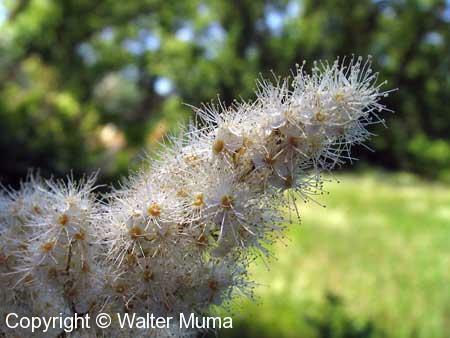 Distinctive features: Shrub; Looks like a sumac with showy white flowers. 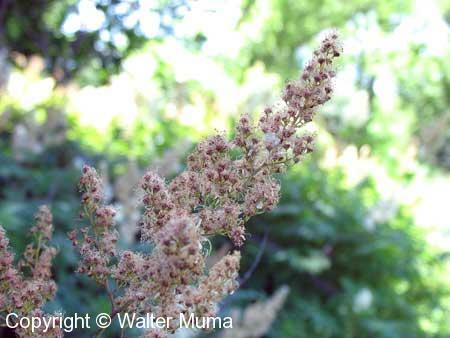  Staghorn Sumac (Rhus typhina) - flowers are greenish and the fruits are bright red. 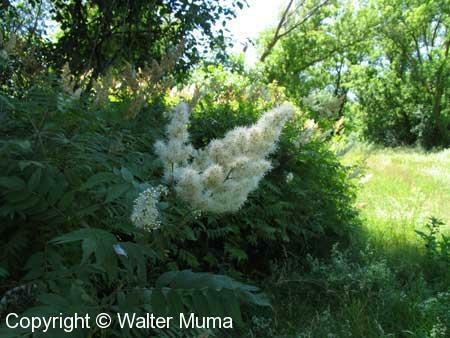 Flowers: Summer; White; White, in a group just like Staghorn Sumac (Rhus typhina). 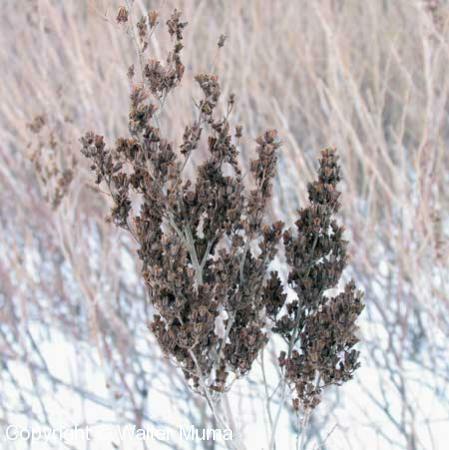 Leaves: Alternate, Compound, Toothed; Compound, alternate, leaflets toothed. Look just like Sumac leaves. Habitat: Fields and Open Areas; Open fields, in a clump. Status: Planted as an ornamental shrub. Photographs: 31 photographs available, of which 9 are featured on this page. SCROLL DOWN FOR PHOTOGRAPHS. Flowers in bloom. Note the similarity of shape to Staghorn Sumac (Rhus typhina). Leaves. 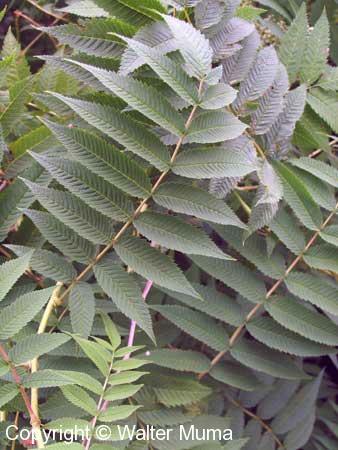 Compound, very similar to Sumac leaves. A view of a clump of these shrubs, in bloom. The same clump in winter. Winter bud along the stem.